This versatile, collapsible truck will fit neatly into small spaces for compact storage. 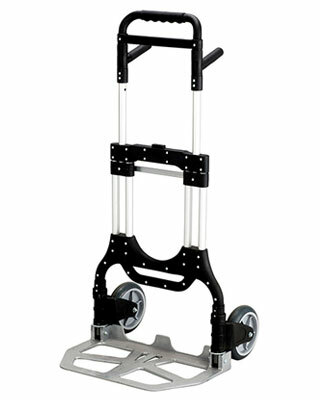 Lightweight aluminum frame for easy transport, the 500 lb. capacity is suitable for most office use. Features include, 8" diameter solid rubber tires, a 23"W x 24"D toe plate, and telescoping handles that tuck away for storage.